Good day to you! 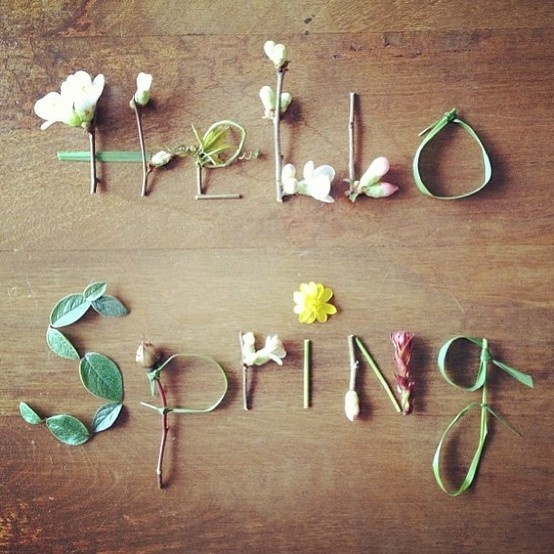 Did you realize that today is the first official day of Spring here in the US? I didn't until facebook told me this morning, but I've been getting the fever for a few weeks now! Talk about the seasons always brings to mind times without central air, without lights beyond candlelight, where reliance on the sun was so heavy. It's a blessing to be able to accomplish more in our modern times, but in doing so I think we can rob the seasons of their value. Summer gives you long days to spend outdoors, but how easy is it to hide away in the air conditioning watching hours of television? Fall, with it's crisp air, reminds us to cherish our remaining time before winter, but how easy is it to let 'busy' be our master? Winter provides early nights to heal, to recover, to ruminate and bring clarity to the fleeting year, but how easy is it to keep going full steam, claiming "no time" for reflection and rejuvenation? And now our Spring has arrived with its renewed spirit, energy to grow and spring forth, but how easy is it to fret, worry, and accomplish very little? Put some Spring - energy, possibility, growth - into your step today! The summer heat will be upon us before we're ready so take stock now. What joy, what good, what new creation can you fulfill this month? Let the very nature of Spring push you forward with a spirit of God. Doesn't God make really cool things?